You are here because you want to try something new and exciting! You’re welcome to come and check out roller derby for real and see what the sport and our league Roller Derby Breda is all about! We’ll tell you all about it, and you can meet the team! We’ll start with the beginners class several times a year. we’ll teach you everything from the basics to playing derby. Really no experience necessary. The First month you can try it out for free! Beginners training will be every Monday 19:00 – 20:30 Ganzerik 1, Breda. Our zebra’s want to expand their herd. Referees ensure that game stays safe and according to the rules. What do you need to start? Roller skates, helmet, knee-, elbow-, wristpads. We have some rollerskates and gear available! Just ask about it when you sign up. Safety first! You don’t want to roll or not so steady on eight wheels; Join our team as a Non Skating Official (NSO) or volunteer. NSO’s are very important; they make sure a roller derby bout runs smoothly. Possible NSO positions can be penalty tracker, penalty timer, jam timer, scoreboard operator, etc. We need the NSO’s during some of our practices as well. Volunteers can join the league as well and can help the league out when there are games, activities, as a coach, line-up manager etc. Please sign up with the form below, let us know if you’re interested in more information, watching a training or already know you want to join the beginners course so we can help you in the best possible way. 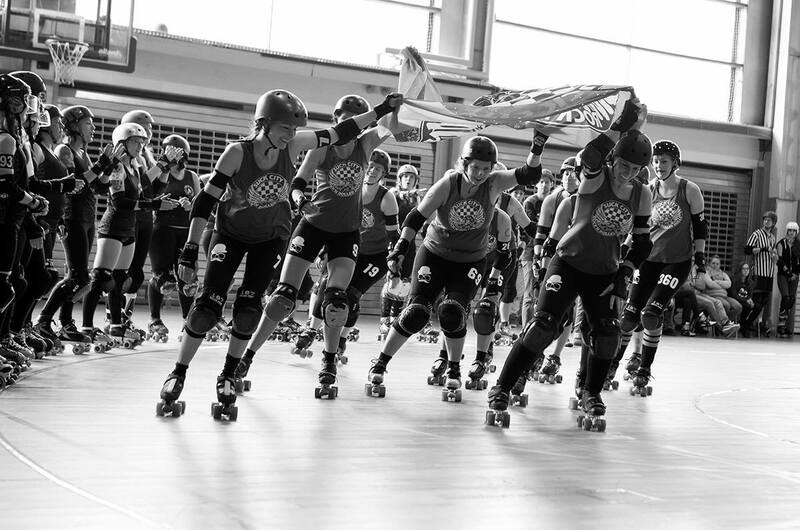 Please send an e-mail to freshmeat@rollerderbybreda.com to sign up!